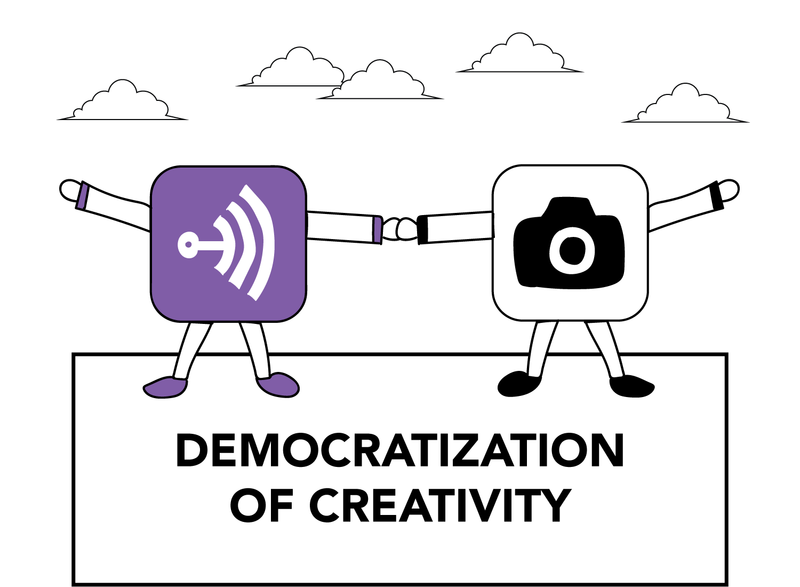 A big step forward for the democratization of creativity. Conversations are one of the oldest technologies humans have developed, but they continue to be the most powerful tool we have ever used. Dialogue has allowed us to collaborate with one another in ways we could not have imagined. It’s allowed us to share stories that have shaped governments, build organizations that have changed the world, and create works of art that have withstood the test of time. Human behavior is often driven by the narratives we tell one another, so the ability to share our thoughts resides at the heart of creating something impactful. And with the invention of recorded audio, we discovered a way to craft stories and disseminate them to the general public. However, for most of recorded audio’s history, it was controlled by the bottlenecks of elaborate studio setups, highly produced shows, and large corporate interests. 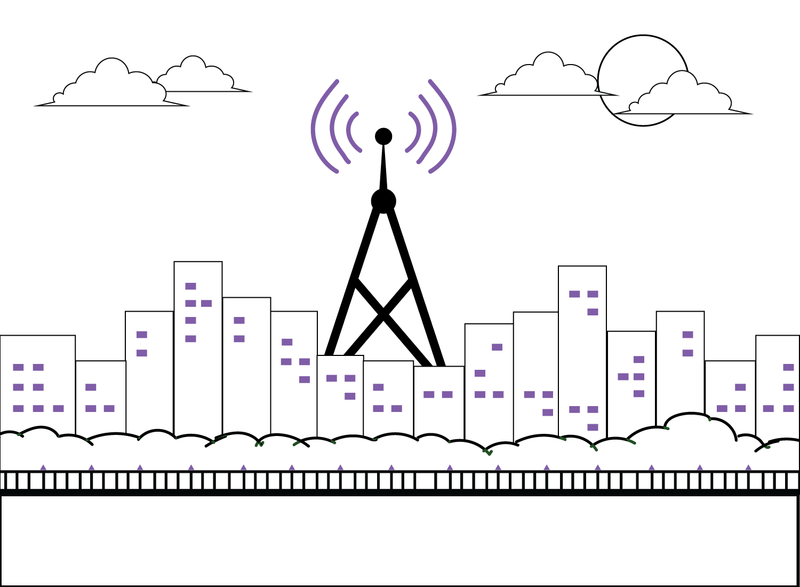 While the power of radio stations grew as technology became increasingly mobile (car radios, Walkmans, etc. ), the production of these stories were still controlled by a handful of individuals. But then, the internet and the smartphone came along and changed everything. With these two things, the cost of producing and distributing audio dropped precipitously, and as a result, the podcast was born. 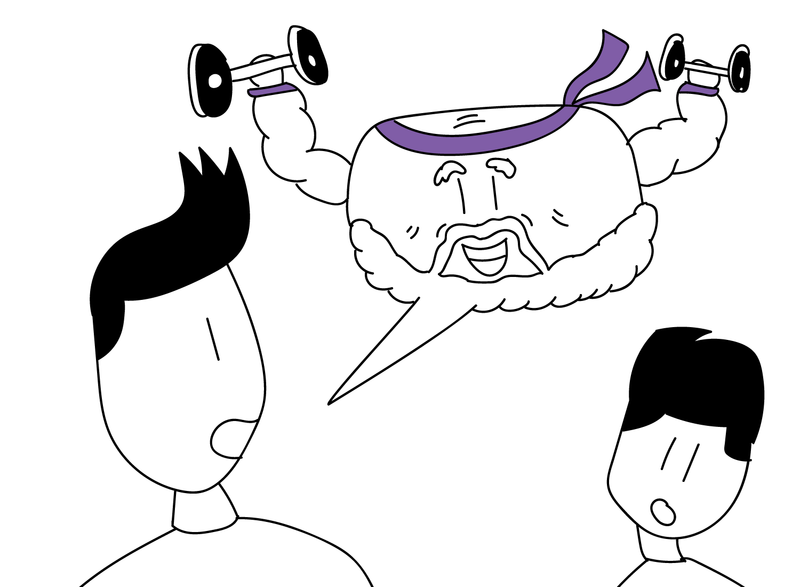 What went from an previously unknown form of audio has now become a ubiquitous source for entertainment and education. An astounding 64% of the U.S. population is familiar with the term “podcasting”, and 44% of all U.S. households (124 million people) have listened to a podcast before. 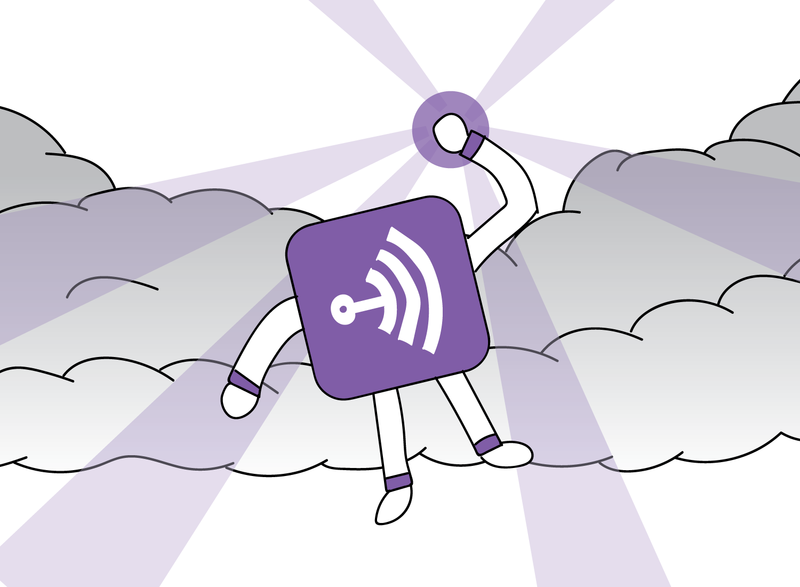 For the first time ever, people can select and listen to shows at their own pace (and speed! ), and on the other side, people now have the means to create a show of their own that could be distributed instantaneously. 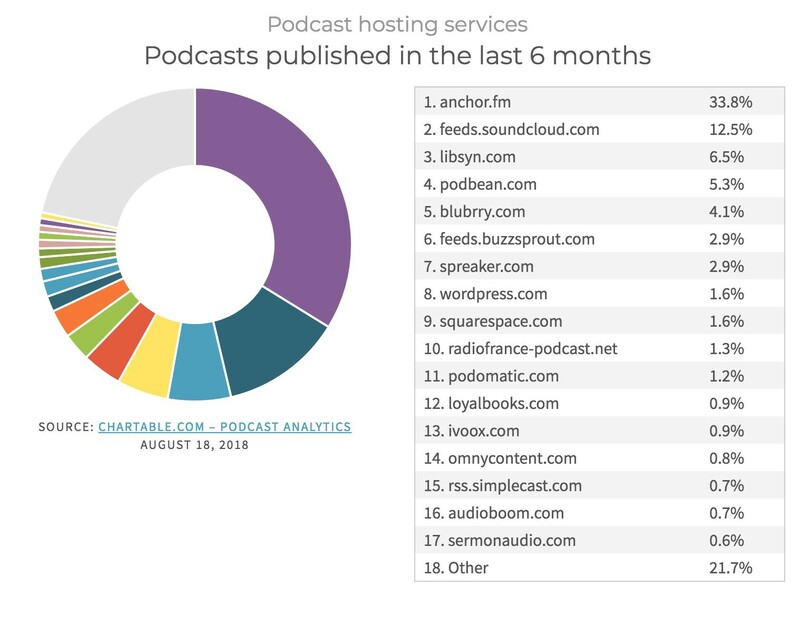 And it’s safe to say that people are taking full advantage of this — as of June 2018, there are more than 550,000 podcasts in existence. Anchor’s mission is clear and simple: they want to be the easiest way to start a podcast, ever. 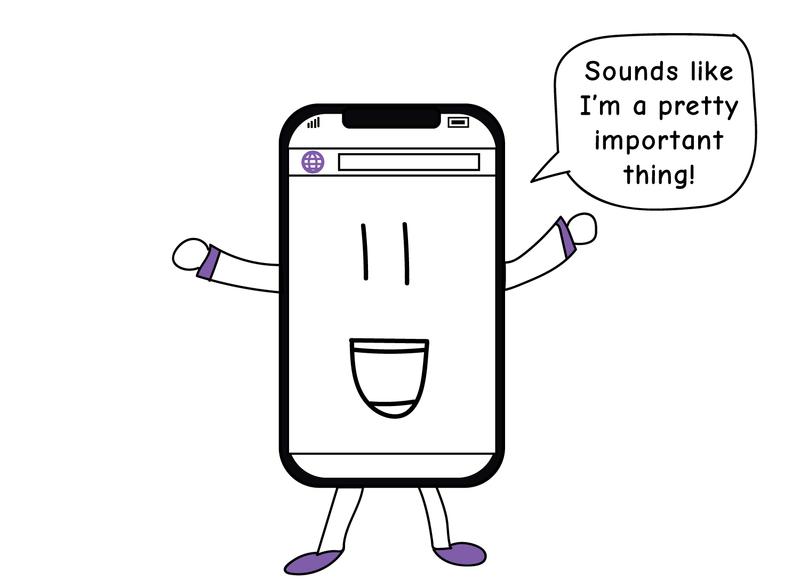 If you have a story you want to share with the world, then all you need is a smartphone and your voice to get it out there. 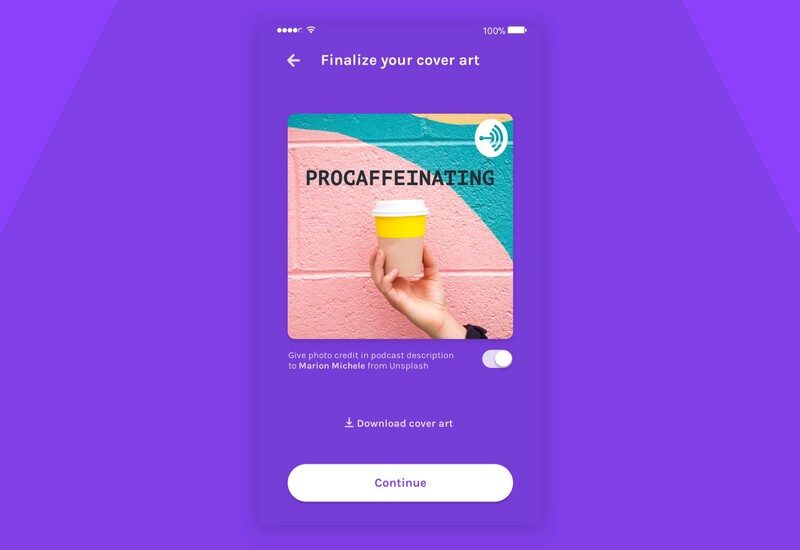 You can easily record, edit, and assemble audio clips to build an episode you’re proud of, and Anchor will take care of getting it up on all the relevant podcasting platforms (Apple Podcasts, Overcast, Spotify, etc.) for free. 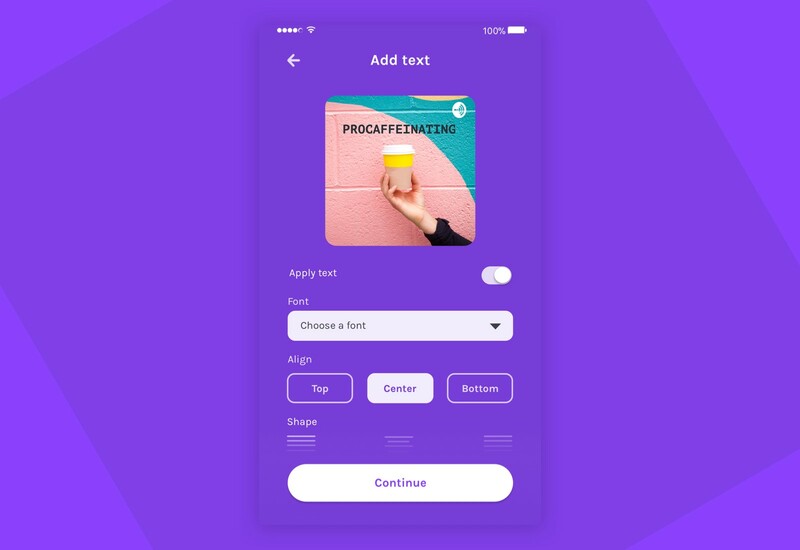 They have built a thoughtful and beautiful product that allows anyone to be a content creator, and the results of their hard work are showing. One out of three podcasts created in the last 6 months were built in Anchor, and as that total pie grows, their goal is to continue growing their impact within it as well. While podcasting is primarily viewed as an audio-based platform, we often forget that there is a strong visual component to it as well. 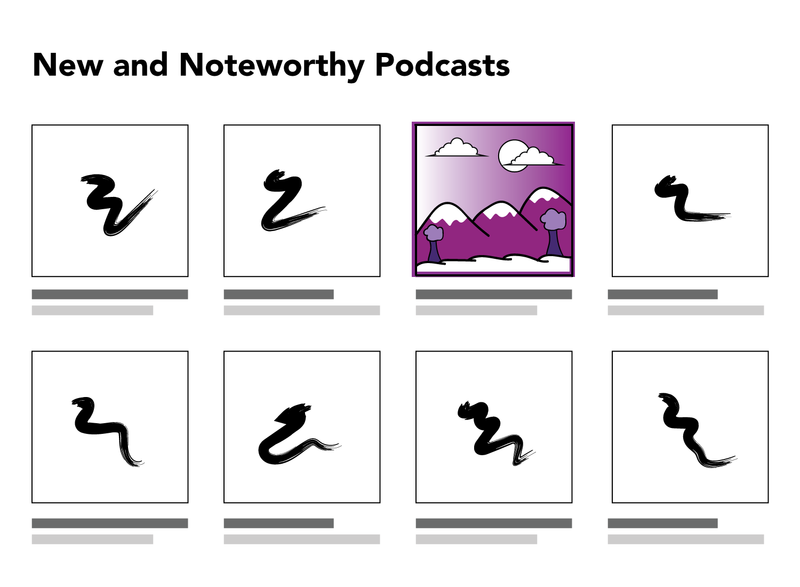 In a sea of hundreds of thousands of podcasts, having beautiful cover artwork can act as the initial draw for a listener to check out the story you want them to hear. So with a library of 650,000 high-quality photos on hand, it felt natural for us to partner with Anchor to provide podcasters with a deep reservoir of beautiful artwork for their creations. 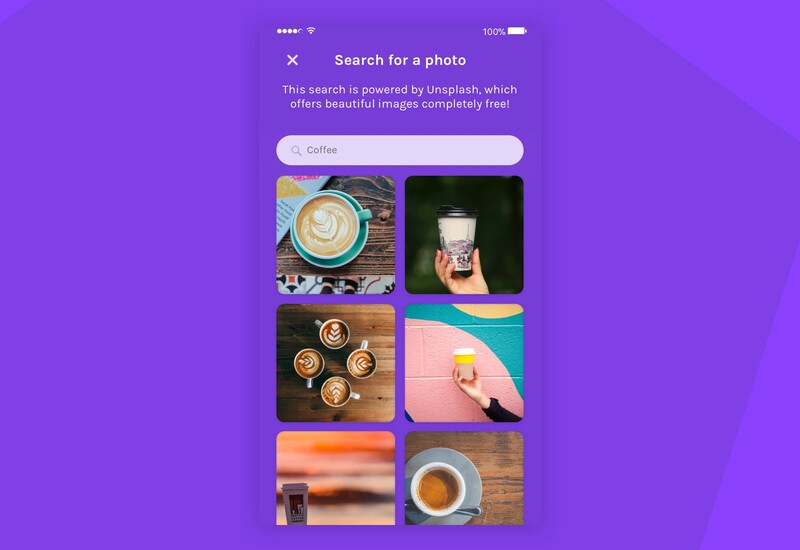 The integration is just as seamless as it sounds — when you’re ready to find that image that will best represent your podcast, search for the relevant keyword(s) and select the photo that resonates with you most. And finally, you can credit the photographer in your podcast description, adding in the element of creative collaboration in your work as well. One theme we have seen over and over again is art forms are never truly isolated from one another — it is through the constant interplay of creative ideas where impactful and lasting products are built. So when we can build a relationship with a partner that exudes this same openness toward innovation, it excites us to be able to contribute to its mission. 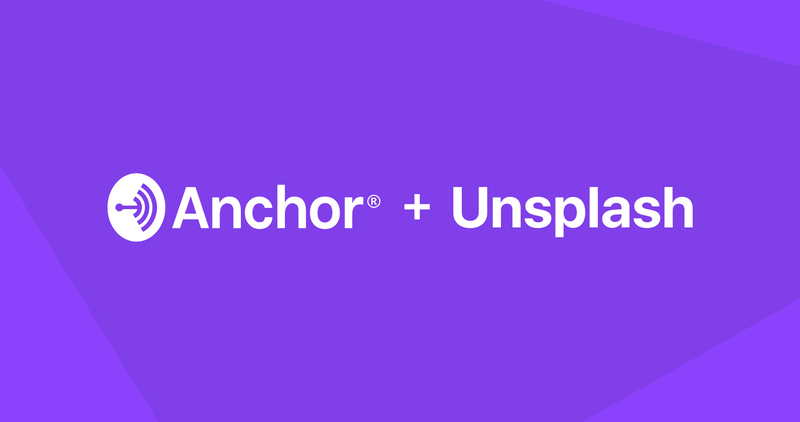 As Anchor continues paving the way for the democratization of audio, Unsplash is playing the same role in the world of photography. We both believe creativity should not be held captive behind the walls of capital and influence — instead, everyone should have access to the platforms they need to get their stories out into the world. And through this partnership, we are another step closer to realizing that collective vision.